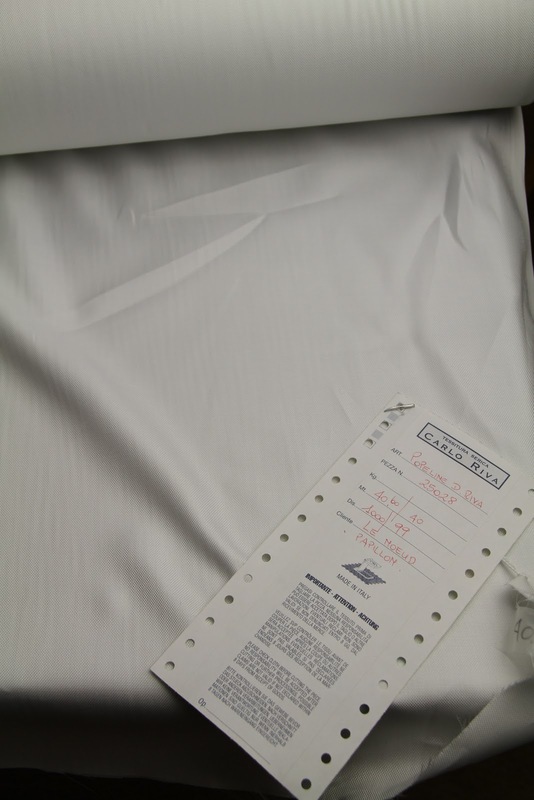 I just received, literally about ten minutes ago, my first two rolls of Carlo Riva shirting cloth. It's better than I expected. If you are interested in being an 'early adopter' of this fabric, don't be afraid to contact me on shirts@lenoeudpapillon.com . 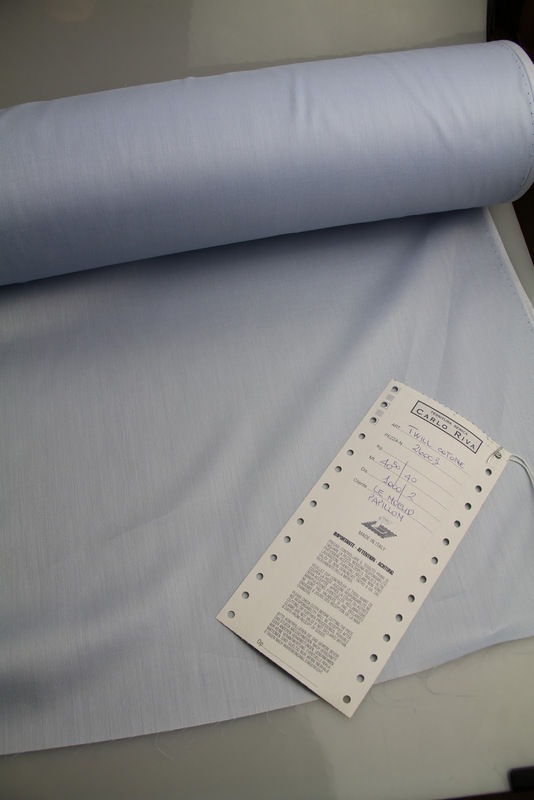 As you know, Carlo Riva is considered one of the most highly respected cotton shirting cloth companies in the world. Unfortunately we only have two colours to work off at the moment. They are light blue and white. Sincerely, LNP. the ticket on the white fabric says popeline. yet it looks like an oxford type weave. Funnily enough, they don't send much information. The white is a royal oxford. As I am no expert on cloth, I ran it by my shirt maker and he says that it's definitely a royal oxford. As for the weight and weave, no information came on the slip. It felt like a 200 2 ply but then it seemed to have more body than that. I will email my contact at Riva to find out. But my assumption is that it's not 200. You are quite right, the roll is 90cm and apparently you need about 3.5 metres at this width to get a shirt for a reasonable height man. Say 6ft. 3 yards should be enough for a shirt. I will take note of that. Thank you Shirtmaven.